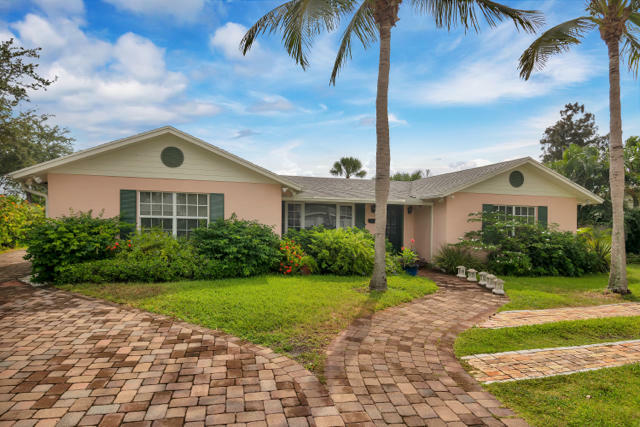 All DEL IDA PARK homes currently listed for sale in Delray Beach as of 04/21/2019 are shown below. You can change the search criteria at any time by pressing the 'Change Search' button below. "Located in Downtown Delray Beach! Original structure is being gutted and retrofitted to meet the needs of today's businesses. Brand new addition is being constructed to the rear of the bldg. & will come w/own separate entry & designated parking. *No warranty or representation expressed or implied is made as to the accuracy of the information contained herein and same is subject to errors, omissions, change of price, rental or other conditions, withdrawal without notice, & to any special listing"
"Located walking distance to Pineapple Grove and Famous Atlantic Ave. An enchanting blend of Old Florida charm and modern living, this authentic 1942 cottage is picture-perfect after a full renovation. Fine finishes and amenities complement original design elements featuring a wood-burning fireplace, wood floors and paneled ceilings. The gourmet kitchen/family room and first-floor master wing open to the lush poolside oasis with firepit and pergola. A self-contained suite is upstairs. The information herein is deemed reliable and subject to errors, omissions or changes without notice. The information has been derived from architectural plans or county records. Buyer should verify all measurement"
"Incredible investment opportunity! 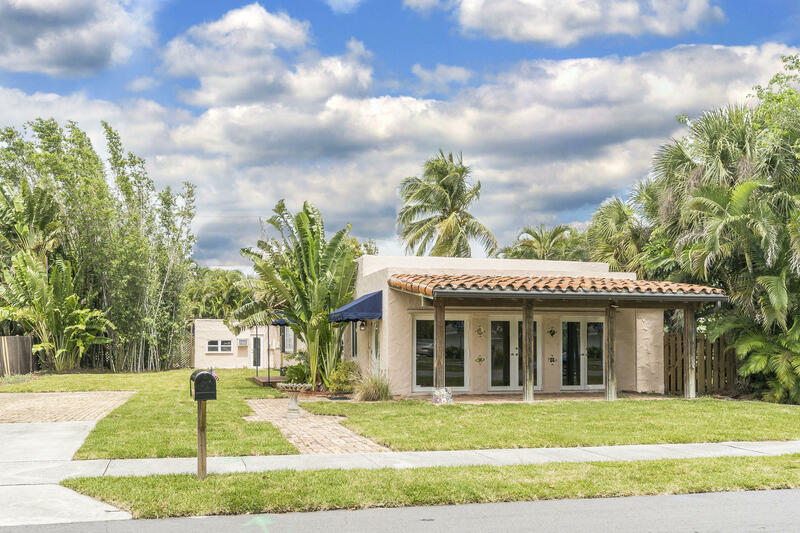 1/3 of an Acre in the most desirable part of Downtown Delray Beach. 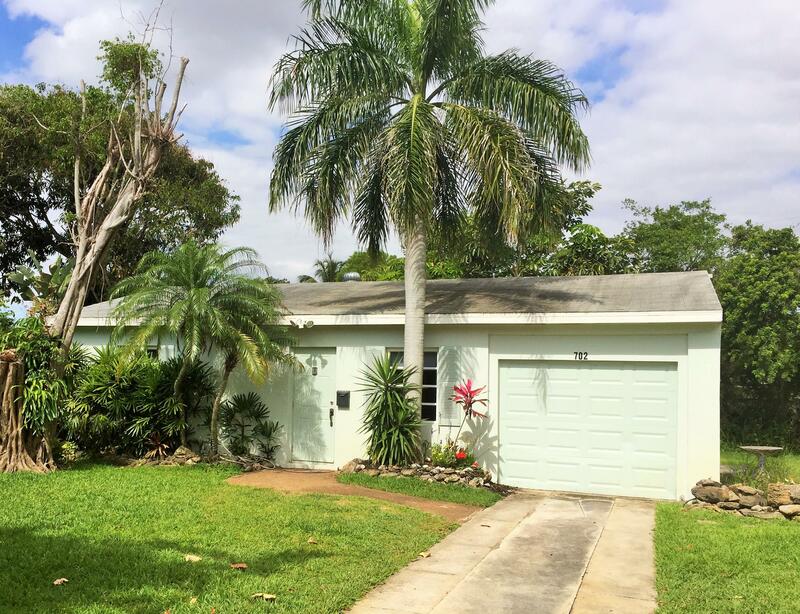 Steps from Pineapple Grove, Atlantic Avenue, and seconds from the beach sits this Legal Duplex (2/2 & Oversized 1/1). Zoned both Residential & Commercial (Office) this property offers endless possibilities. Collect $4250/mo in passive income or move your office to Downtown Delray. Structural details include: roof replaced in 2008, all hurricane impact windows/doors, renovated kitchens in 2016 (Miele appliances), bathrooms renovated 2016, vaulted ceilings, 2 brand new A/C's, handicap accessible, parking for 10 cars, oversized backyard with option to create additional circular driveway or pool. 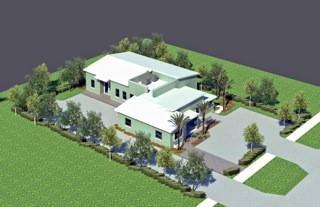 Come explore the possibilities that only this unique Downtown Delray Beach property can provide!" 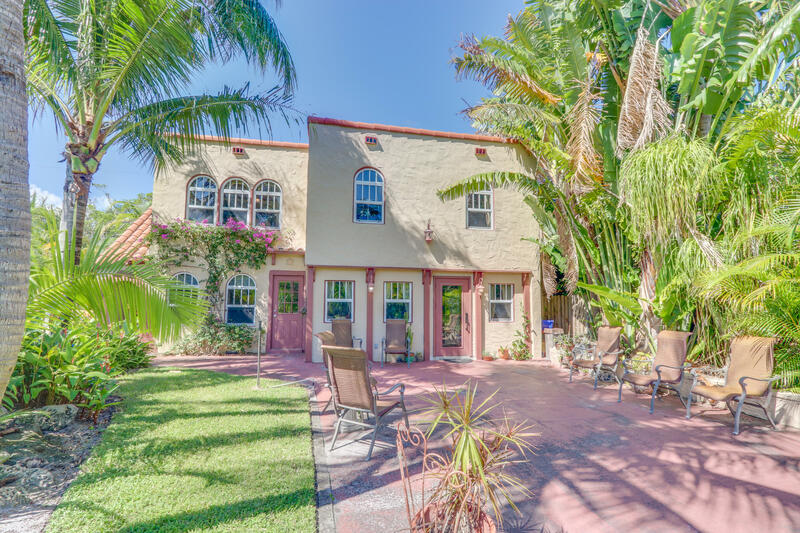 "Charming 1931 Spanish style carriage house in the heart of East Delray! This one of a kind home is situated on the back portion of an oversize lot with plenty of room to build an additional structure and pool. This two story home features a family room and master bedroom on the lower level, and the kitchen, second bedroom/ bath, and living and dining rooms upstairs. There are interior and exterior staircases that lead to the upstairs living areas. 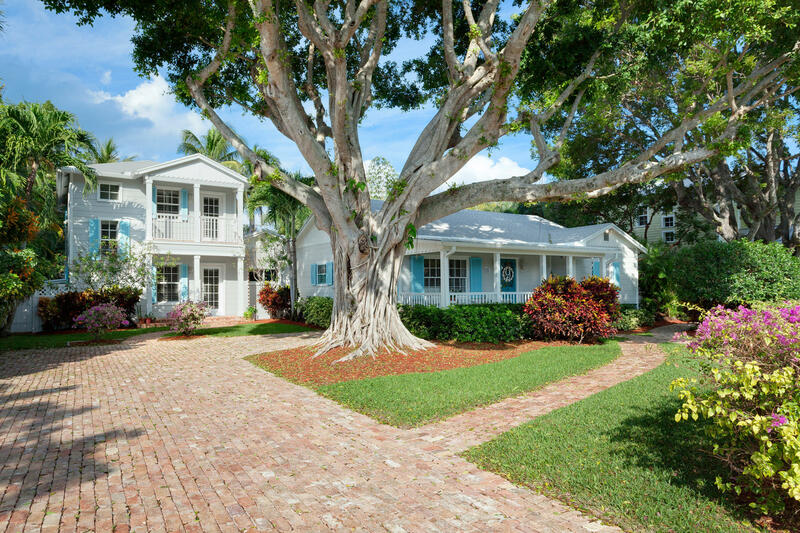 This home has been completely remodeled while maintaining its original historic charm. Some other great features include pecky cypress ceilings, brand new impact windows throughout, and large outdoor storage shed. Just blocks to the beach and Atlantic Ave."
"Absolutely a must see! Charming 1931 Spanish style home with detached guest cottage in Del Ida Historic District. Built to impress with high 9' ceilings, original pine hardwood floors, welcoming French Doors and windows throughout adding lots of natural light, generous living spaces, stained glass windows from an old church. Very well maintained and updated/renovated throughout the years. The Kitchen was recently updated along with the bathrooms. With 2 large covered patio areas the home sits on an oversized lot with plenty of room to expand or build a pool. The cottage offers private entrance through its own private courtyard. Walk to Downtown and the Beaches easily!! Call today for your private viewing!" "Great location awaiting your finishing touches. This property is zoned RO and can be used as a home, professional office or both. Perfect Live/work situation! Current owner has conceptual plans for Professional Office conversion, Large lot can accommodate an addition and pool, or tear down and build your dream home! Uniquely nestled in between two properties that make the backyard your private oasis at night. Walk to downtown, ride your bike to the beach and enjoy all Delray Beach has to offer. Currently the interior is stripped down for conversion to Professional Office or residential remodel."